Despite sitting cocooned in my daggy dressing gown in front of the computer, here on this chilly August night in Sydney, my cheeks are hot, and I am blushing. Blushing to think that there might be a tiny chance that you might actually read this letter some day and that I could convey how deeply you have shaped my passion for nature. Like many of the other people who have written to you, I too have the most wonderful childhood memories of that Sunday night tradition of watching The World Around Us as a family, clustered around the little old Rank Arena with the dodgy aerial, looking through that window into your awesome world. Despite being mildly embarrassed when I saw antelopes ‘doing it’ or a little queasy when a lion tore a zebra in half, I was hooked, and your documentaries became my comfort food, warm and uplifting and inspiring. I’m not sure my parents and brother were quite as moved, but I would sit in rapture, thinking privately that this man in the blue shirt was just like me; he loved exploring and discovering new things and watching bugs and being in the bush – and I didn’t know anyone else quite like me at that age. The seed was planted, and I wanted more. It spurred me on, knowing that the almost unstoppable urge to See What’s Under That Rock was not unique to me. If this guy David on the telly was doing it there was probably other guys too; maybe even kids like me! How did I become a part of this magical world? I started asking my mum a million and one questions, and she encouraged me by signing me up for Girl Guides and helping me become a member of the local lapidary club. I went bushwalking in the Blue Mountains and saw birds I hadn’t seen before, and founded a ‘mushroom club’ at 10 years old which consisted entirely of myself and two like-minded school friends marvelling at the technicolour assortment of fungi growing on the trees in the farthest corners of the playground. Then I got a bit older and realised perhaps I could make a living doing something amazing. First I wanted to work in a zoo. I was happy to pick up elephant poop, as long as I could work with animals. Then I wanted to be a marine biologist, but I didn’t have a head for the science. It was the discovering and exploring that drew me in. I remember one of the most wonderful experiences in primary school – we were on an excursion to a wetland, now adjoining Sydney Olympic Park, and there was a nature exploration room set up for school groups. I can picture that room like I was there yesterday. It was filled with amazing things – seed pods, feathers, bush cockroaches, stick insects, charts showing crayfish species, mangrove lifecycle diagrams. It’s the stuff that makes my eyes sparkle. Another time, a lady from our local wildlife park brought a flying fox to our classroom. Most of the kids squealed in horror and asked if he weed on himself. I got to feed him a grape and watch his bulbous little eyes concentrating on extracting the juicy inside part from the skin before spitting the skin onto my shoe. I laughed in delight. My friends kept squealing, shouting out ‘Gross!’. I thought it was the coolest thing ever. Throughout my teens and early twenties the desire to be a wildlife carer was ever-present, then when I met a boy and learned he had always wanted to be a ranger for National Parks & Wildlife, I knew we were meant to be. We are both animal mad and hope to pass on our passion and respect for the natural world to our children who are 4 and 2. They are both showing promising signs with Tyler, the eldest, unable to bear throwing out the pockets full of leaves and sticks he brings home from daycare because they are ‘so beautiful’, and Holly with her uncanny ability to quieten animals, including our centralian carpet python. I’m now 32, and I never did end up making a living in the field I’m passionate about. I’m a marketing manager for an industrial manufacturer. But, your films are still comfort food. When I’m feeling down, I pull out Life in the Undergrowth, make a cup of tea, and get lost in nostalgia mixed with wonder – and it never fails to make me feel better. This piece was originally written for the site Dear Sir David, a beautiful communal outpouring of memories and stories that was begun with the intention of compiling a book for the man himself which was to be presented at his 2012 tour of Australia. It struck me tonight while I was watching his film on Madagascar that this letter was only published on that site and I didn't have a copy of it anywhere; so I'm republishing it here on my own site for posterity. Not only that - but also, these childhood feelings of wonder arise so often in me now that my daughter is showing signs of following a similar path. I recently showed her a YouTube video of baby orphaned flying foxes being cared for at a specialist shelter, Tolga Bat Hospital, in Queensland. 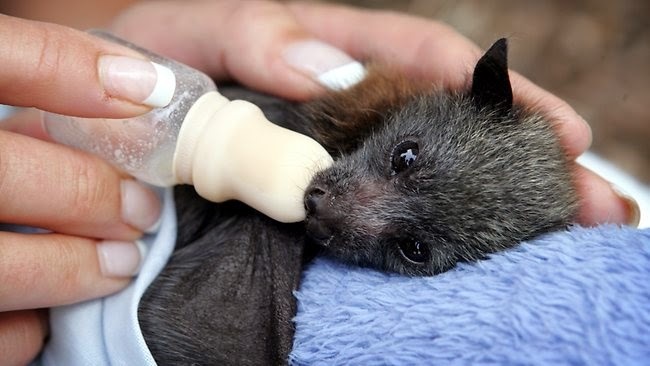 She said 'Mum, when I grow up I want to look after baby bats.' It was a beautiful moment - she did not know, but when I was young, after the flying fox school visit I mentioned above, I said exactly the same thing to my mum. EXACTLY. THE. SAME.